Rescue your congested and lack-luster skin while defending it from pore clogging impurities. 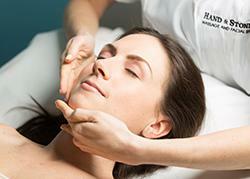 Our Detox Facial encourages the skin to purge, detoxify and cleanse while purifying and rebuilding skin texture. Ideal for problematic acne conditions. Request one of our Spa Associates to contact you, or call 571-814-5669.